Caudalie Grape Water - I have to say Caudalie is becoming one of my favourties for skin care right now, i have already commented on this product in a haul post but now this has become part of my evening skin care routine, similar to Caudalies beauty elixir this is a face mist spray, its nice and refreshing to spritz after cleansing before moisturizing. Caudalie Divine Oil - I've wanted to try this for some time and after reading GhostParties blog review on this product i have indulged in purchasing. Plus it was on sale at FeelUnique.co.uk. This sprays as a mist oil all over your body, but can also be applied to dry hair ends and face. This is great for me, sometimes i feel a little lazy after a hot bath to moisturize so i can spray this all over damp skin. The smell is amazing and it lingers on the skin all day, after a shift at work my skin still felt loverly and smelt sweet. Elemis Melting Cleansing Gel - I managed to attend an Elemis coffee morning at the hotel and spa i work for. This included lots of tasty food, Elemis samples to take away and money towards some new products, we got a talk and got to test a varitey of current and new Elemis products. I have been a bit well skeptical of Elemis before, firstly i always though it looked a little bland and unsure where to start, secondly i used a Tranquil Bath Elixir from a beauty box and it gave my skin an irritation. However i choose to purchase the melting gel. I have never used a gel based product before, this you apply to dry skin then add water to really work the product, it smells of oranges and really leaves my face feeling fresh and radiant. 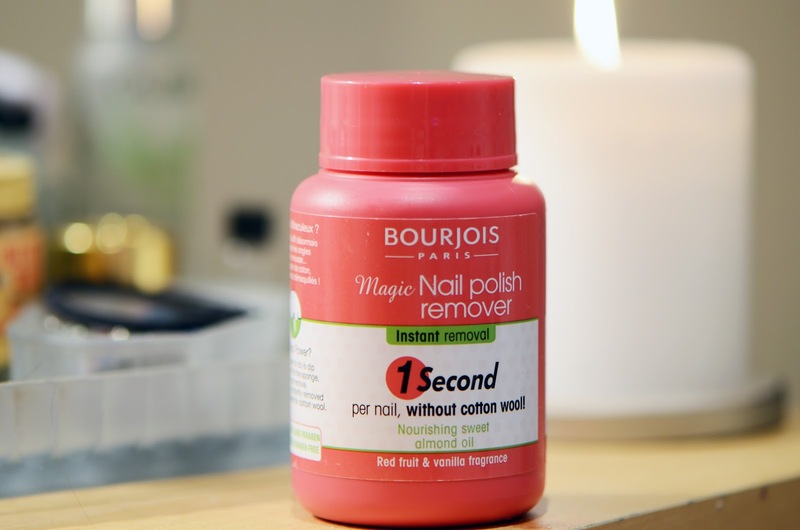 Bourjois Nail Polish Remover - Theres alot of reviews about this on several blogs i read, and i though well its just a nail polish remover.. but honestly its pretty awesome. '1 second' is a little over rated. its a few seconds. You just dip your finger in the sponge and presto the polish gone. It also leaves and nice berry scent which is more pleasant than the usual nail polish removers, plus you dont need to mess around with cotton pads, unless you want to remove toe nail polish, im a little unsure how that goes..
Elemis products are so good, have you tried the papaya enzyme or the lavender toner, they're excellent! 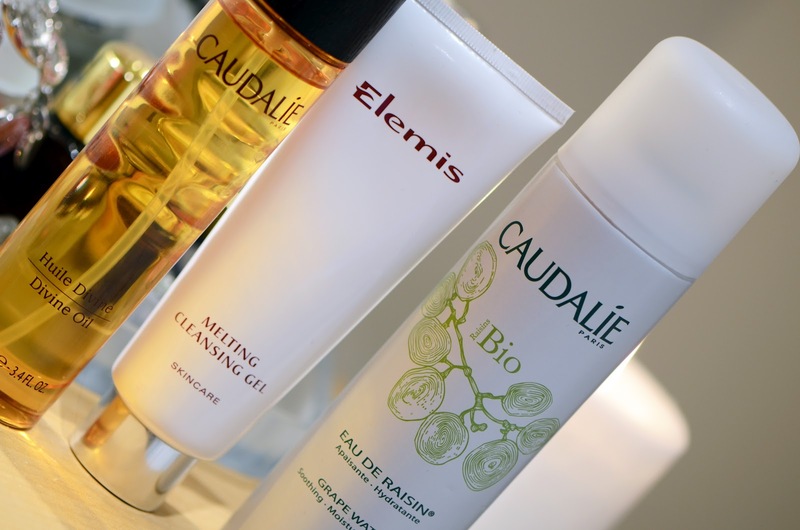 I really want to try the caudalie divine oil, I've heard nothing but great things about it! @Josie Thankyou thats really nice :) Yes you should try it out, defiantly nice trying something different like an oil to a cream.